ECE’s team of engineers and marine scientists are uniquely qualified with advanced engineering degrees and specialty board certifications with representation on key national engineering boards’ including the American Society of Civil Engineers’ (ASCE) Sustainability Board and ASCE’s Civil Engineering Certification (CEC), a national civil engineering certification board. Our engineers are invited to speak nationally and internationally at professional conferences such as the International Green Building Conference in Singapore, Coastal Structures Conference(s) in Italy, the American Shore and Beach Preservation Association annual conferences and Green Highways conferences. Several of our Principal and Senior Engineers have been awarded the prestigious designation of Diplomate in Coastal Engineering (D.CE.) by the Academy of Coastal, Ocean, Port and Navigation Engineers (ACOPNE). ACOPNE provides this designation to recognize individuals who have excelled in coastal engineering with verified experience and contributions to the industry. Karyn M. Erickson, PE, D.CE, F.ASCE, is President of Erickson Consulting Engineers, Inc., which is based in Sarasota, Florida. Ms. Erickson has 30 years of experience in applied coastal and estuarine engineering, from the planning and field investigation phases through permitting, final engineering and construction. Ms. Erickson currently serves as Chairman of ASCE’s Committee on Sustainability Certification program. 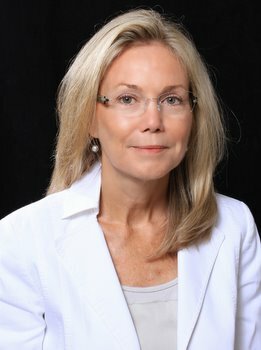 She is a Board Member of the Association of Coastal Engineers and Executive Board Member of the Civil Engineering Certification, Inc. which certifies civil engineering certification programs within the U.S. She has served on Boards at the National Academy of Sciences Committee on Coastal Engineering Research Needs and the State of Florida, Coastal Engineering Technical Advisory Committee. Ms. Erickson has authored over two dozen published articles and reports.